NOTE: Please do not reply to this post with a question. Read this post to see where and how to ask your question. You’ve exhausted the built-in and online help provided by Microsoft, and don’t have what you need. So where do you go to get help in Excel? There are a large number of resources available to you. Search engines, online forums, and a number of useful general Excel topic web sites, and a huge selection of Excel books. Have you broken the question or problem down sufficiently to really ask something concrete? Is your problem the sort of standard question for which there’s definitely already some sample code and documentation available? Skim the documentation, or do a quick search. Try searching the web. If you’re having trouble getting a decent result, you need to narrow things down. Someone else has probably asked your question – or maybe a hundred someones. It’s tempting to send an email directly to me or to another expert whose previous website or forum post has been helpful. I get a dozen or more unsolicited emails a week asking for general Excel help. I welcome questions and clarifications regarding topics posted on my web site, but I don’t often have the time (or motivation) to address emails out of the blue. It’s more effective to post a question on a forum with a broader audience (see below), because many more people will see the question, and several people will respond to a public post before a single busy individual even notices a stray email. I’d rather answer a public question, because it becomes part of the body of public knowledge, more people will see it, and Google will have a chance to pick it up. Posting a question in a comment to an unrelated blog post is also not very effective. You’ll either have your comment deleted, or if you’re lucky you might get a link to a more relevant post. If you’re on someone’s blog, use their search box to find a more relevant post yourself. Go to the source, Google. Search for a few related keywords. If the results aren’t what you need, they may at least give you ideas for better keywords. I even use Google to search Microsoft’s site. Use site:microsoft.com as one of your keywords to focus the search on microsoft.com. There are a large number of forums devoted to Excel. For some reason, new forums keep popping up, even though a new forum lacks the core of experts and depth of archived information of an established forum. The established forums include Mr Excel, OzGrid, Excel Help Forum, Experts Exchange. I visit various forums from time to time to see if I can answer a few questions. Lots of traffic: dozens or hundreds of new threads each day. A long history: archives extending back five years or more. Recognized experts: members with designations indicating expertise (but watch out for too much game-like clutter, like badges and medals and point counts). Take a couple minutes to try Google first. Many questions have been asked and answered a thousand times before. Spend a few minutes searching the forum’s archives. Use a descriptive subject line. I skip posts with subjects like Help!! or Excel Question. Write a concise and clear problem statement. State what you are trying to do, what steps you took, and what happened. (Sometimes framing a question well is enough to clarify the problem in your own mind, and you figure it out yourself.) If you get an error message, include the description in its entirety and not just the error number. Sure it’s an effort to retype it, but the error number may correspond to several different descriptions. Error number 1004 means a procedure halted during execution: very informative. Include the Excel version somewhere in your problem statement. Write clearly, DON’T TYPE IN ALL CAPITALS, don’t use text message shorthand LOL, proofread your post. Don’t look for a button to upload your workbook. If you can’t describe your problem without attachments, most people won’t bother trying to answer. If someone wants more information, they will ask for a workbook. Be courteous and patient. If your question isn’t answered within several hours or a day, reread the question. Don’t bump your own post to bring it to the top of the list. Not everyone is in your time zone or takes breaks when you do, so let your question mellow until someone finds it. Also, adding a post to the thread, even just yourself bumping it, makes the thread look answered, so someone who is looking for unanswered questions will skip yours. Why isn’t the Forum Answering My Question? Is the subject line vague, as in I need excel help!!!? Is it so simple that a Google search would have uncovered the answer in 60 seconds? Is it written so poorly that nobody wants to try to decipher it? Does it look too much like you want someone to do your homework? Does it look like you’re asking for someone to do a whole project for free? Mr Excel is undoubtedly the best of the forums. Mr Excel receives more traffic than the rest, hosts a huge archive of solved issues, and has a large number of knowledgeable users willing to answer questions. OzGrid used to be focused more on revenue than on the content of the forum, but this has improved in recent years. OzGrid has decent traffic, a good archive, and a number of experts who respond to posts. While Mr Excel and OzGrid receive a meaningful amount of traffic, most other forums don’t seem to have critical mass. StackOverflow and SuperUser, which are respectively developer- and power-user-targeted partner forums, have moderate amounts of Excel traffic, and I like the flow of their layout. They are relatively new, but their Excel traffic and archive are expanding. The Microsoft forums have improved, and they get a huge amount of traffic, redirected no doubt from the helpless online help, but they lost most of their knowledgeable members when the newsgroups were liquidated. Instead, numerous helpdesk-style contractors respond semi-intelligibly on Microsoft’s behalf. Excel Help Forum is somewhat active, but you can scroll through a few days’ new posts in just a couple minutes. Experts Exchange is a good quality forum, but it’s a paid membership service, and its structure is very constraining. Plus it’s overly concerned about scoring answers, to the extent that once a responder got upset that I added to his answer, because he didn’t want to share points. Sheesh, if I’m trying to answer someone’s question, I care if the answer helped. Why do I need points to prove how smart I am? VBA Express and XL Guru are of good quality, but unfortunately their traffic is too low. Tek-Tips has Office and VBA forums which are intermediate in quality and traffic. I once suggested that a member of a LinkedIn forum visit Mr Excel, and was told by several forum members that the personal interaction on the LinkedIn forum was a great feature. Uh, what? You get the same interaction on Mr Excel and the other forums, only it’s with smart people who can actually help. I no longer spend any time on the LinkedIn forums. There are a large number of useful Excel web sites and blogs. You’ll find most of them if you use Google well, and if you take note of who is answering questions on the forums. But here are a few noteworthy sites. Chip Pearson’s Excel Source has hundreds of pages covering a wide variety of topics using worksheet formulas and VBA. The Spreadsheet Page is John Walkenbach (Mr Spreadsheet)’s site filled with free tips, downloads, and other stuff, plus information about his books and other Excel products. ExcelUser is Charley Kyd’s site directed toward business users of Microsoft Excel. 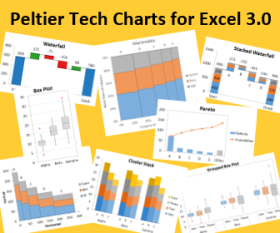 ExcelUser has written about Excel dashboards, and offered dashboard-related products for Excel, since authors of other dashboard web sites were still in grade school. Contextures is Debra Dalgleish’s site of Excel Tips and Tutorials. If you have a question about pivot tables, autofilters, conditional formatting, data validation, you’ll find the answer here. Chandoo.org has a number of free and paid Excel learning resources by everyone’s favorite, Chandoo. There are innumerable books on all aspects of working with Excel. I won’t list them here; instead I’ll direct you to my web page that lists the Excel Books that I own and actually use. (I own others that I don’t find useful, and I’ve left them off the list.) I update this book list every so often, when I’ve gotten a couple new books or when a new version of Excel has been released. Disclosure: the book page contains Amazon Affiliate links, as does the sidebar of this page, so if enough of you buy enough books, I’ll be able to start posting from exotic vacation destinations. Posted: Monday, January 23rd, 2012 under General. I’d like to add my blog into the mix as well if I may (www.tips-for-excel.com). I’m still working on expanding each tip and I’m starting to focus some tips that are aimed at helping digital marketers who use Excel. My Chart tips are not a patch on yours either(!) but hopefully I’ve helped out a few people so far. I would also add, please don’t bump your own posts. MrExcel allows this and it is annoying! I don’t sit on the forums all day long, I stop by every few days and do a search for “unanswered” posts (replies = 0). When you bump your own posts, you take them out of the unanswered queue, even though they technically remain unanswered. Not to mention that bumping is poor etiquette — not everyone is in your time zone. Also, you may have either a) asked a question so simple that Google could have solved it, or b) the question is so poorly worded that nobody can even begin to answer it. I prefer stack overflow just because of how well it was put together, using other forums is like going back in time. Great post, wish more people would find their questions on the web first, it is very rare that I need a question answered that hasn’t been answered in the past already. It’s also annoying when people ask questions that would basically require that you do the work for them, it’s like, are you going to pay me to do this for you? So read my guidelines above, and ask your question in a forum where it’s likely to be read. Please ask this in a forum. I am looking to change the color of text based on the value in an adjacent cell. I have tried conditional formatting but I was only able to change the same cell not an adjacent one. Select the cell whose formatting you wish to change. On the Home tab of the ribbon, click Conditional Formatting, select New Rule, then select “Use a formula…”. Write a formula describing the rule, related to the cell whose change you want to affect the cell you’re applying CF to. Define your format for when the formula is true. I want to start with a number(say 50) in a cell (say B4). Then put a number(say 5) in the cell B5 and have it subtract that number from cell B4 (50-5=45). Then I want to put a new number (say 7) in cell B5 and have it subtracted from the result of the first equation (45-7=38). I want to be able to repeat these step over and over. The answer to these equation would alway appear in the same cell.ie (B7). I am uanble to figure out how to write these formula in excel 2007. I would appreciate any help yon can give me. Ironically, you asked a question at the bottom of an article entitled “Getting Answers For Your Excel Questions” without heeding any of the suggestions in the article. Reread the article and try again. Hint: the question should not reappear in this blog, since it is unrelated to any topic that has ever appeared here. What formula in excel can I use to figure out the answer ????????? Please follow the guidelines in the article. Please reread this post, and actually follow the suggestions. In other words, don’t post general questions here. Jon just close the comments for this post, it seems to be drawing in the folks who find these posts and don’t read them. JP, Closing the comments would make it so I couldn’t have the occasional chuckle. I find it hilarious. Reread the article, then follow its suggestions. I have made a formula based user entry form. the problem is that my first entry is not saved as soon as I change the inputs…..pls help me to save the previous records as well. I’m turning off comments to this post. Too many people don’t read the article, but just go straight to the comment to ask their questions. Read what I suggest, and go to an appropriate forum to ask your question.